Hales Gallery is pleased to announce Derrick Adams' solo project The Holdout at Aljira, a Center for Contemporary Art in Newark, New Jersey. The Holdout consists of a multi-functional architectural sculpture installation, along with photo and text-based work. It also features a radio station with music and spoken programming curated by the artist. Live interviews will be broadcast from within the pyramid sculpture during the run of the show. All 12 events scheduled are open to the public. 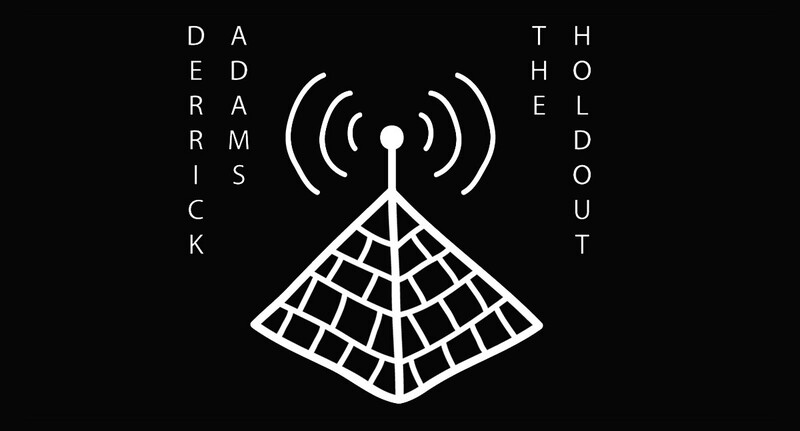 Visit Holdout Radio to access live streaming video and archived content. Holdout is a real estate term for an owner(s) of a building in a row of acquired buildings who won’t sell. The structure poetically references individuals within a community united as a wall of resistance and support. This installation and performative work highlights a value system in appreciating and acknowledging what is priceless and what is important to preserve in one’s own contributing culture.